Happy Monday everyone! As I sit here typing, I'm consuming my late afternoon coffee because it is Monday and it is cold and coffee and I have a very loving, committed relationship. I was planning on having this review be a two-fer, but I haven't used the other new brush enough to really establish feelings yet, so I will wait to review it (perhaps next week?). I also just got a small brush order from Coastal Scents delivered today, so I will need to do a large write up on their brushes fairly soon since I got some others at Christmas. However, today I'll be focusing on the "brush" pictured above. I love Real Techniques brushes and I think I use at least one every single day, if not two or more. Real Techniques is a brand that is backed by (or started by, not quite sure) Sam Chapman from PixiWoo. I just noticed that the newly released brushes also have her sister's name on them (Nic), so I guess it's been expanded to include both of them. All of the brushes are synthetic, but I use a lot of cream and liquid products, so that's perfect for me. This "brush", however, is completely bristle free as it's actually a little piece of formed silicone. When I first heard of this brush, I thought that it was a genius idea. I mean really, has some other company thought of this for eyeliner and I'm just too dense to know about it? Why has it taken this long for someone to come up with this idea? I set out to buy it immediately, but all of the Ultas around me were sold out and I didn't want to pay for shipping just for the brush. I eventually found it and even after the first time of using it, I wanted to write the review. I've used it more, but I honestly could have written this review two weeks ago. 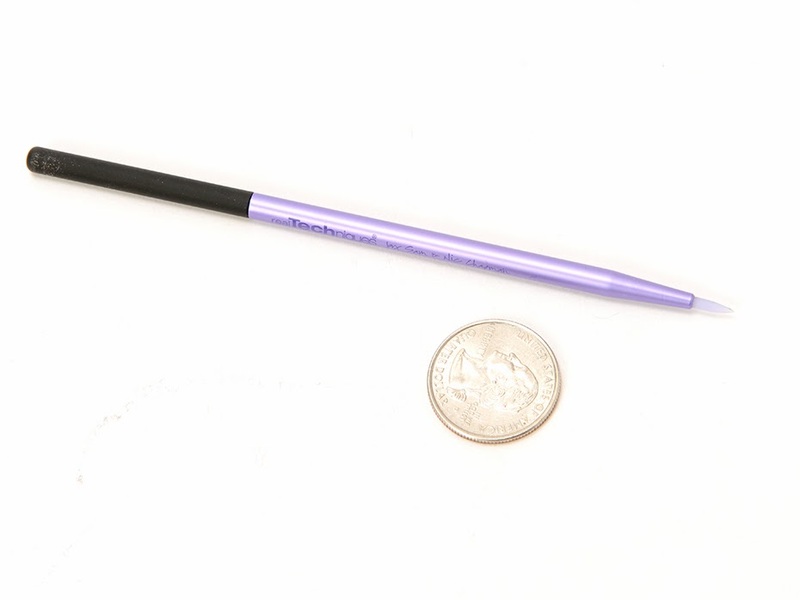 If you use liquid liner or don't wear eyeliner at all, then this is not the brush for you; this is definitely meant for cream and gel eyeliners. Some of the biggest gripes that people have with traditional brushes is that you 1) can't see how much product is left on the brush and 2) that the bristles can splay or bend or just not work with you. This brush takes care of both of those issues. Since this is a silicone tip that is, for the most part, transparent (slightly frosted, I guess), you can see exactly how much product is left on it. And it obviously takes care of issue two by not having bristles. This brush will no splay, the product won't get trapped in the bristles, and you don't have to worry about the brush bending some odd way and messing up your perfect line of eyeliner. The brush seriously makes applying gel and cream eyeliner a dream. 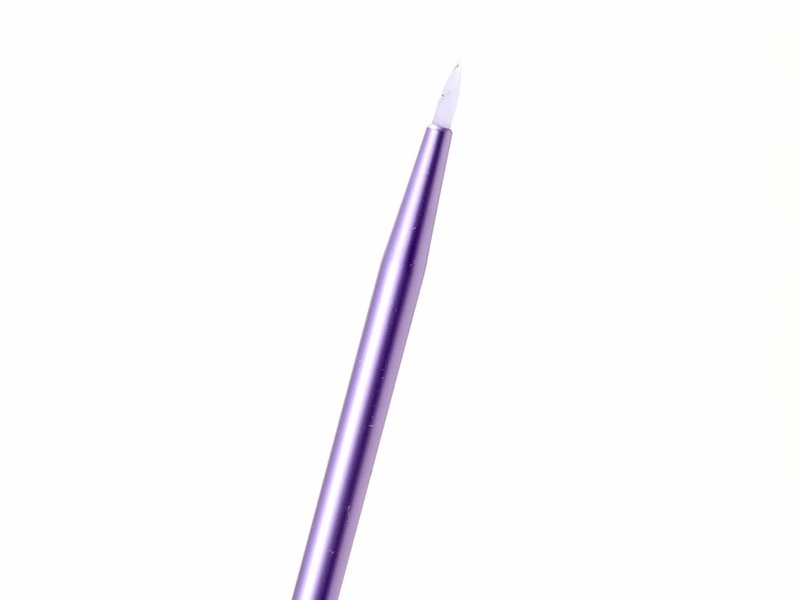 It also makes creating sharp, precise lines incredibly easy since the end of the brush is pointed and small. You want some killer wings? Hit up this brush. I'm aware that after the last paragraph and a half, it probably sounds like this is some sort of sponsored post, but it's most definitely not. I really love this brush and I can't believe that it's taken this long for it to be mass produced. So, is there anything wrong with the mystical magical brush of the gods? Yes, there is one thing that does irritate me a little. Even though you can see when the product is running out on the tip, the real indicator is that it starts to drag on your lid a little bit. That would be due to that fact that the tip is silicone and it can get a little attached to your skin. The only other complaint is that it tip is completely conical and I think it would be a lot better if one side were rounded and one side were flat. I guess if that were to happen, the universe might explode, so I'll stick with it how it is. Final thoughts? If you wear gel/cream eyeliner with any regularity, I would buy this brush. Even if it's just for the sake of testing it out, I would get it. It's really affordable (I think mine was $5.99) and if you purchase through Ulta, you can use coupons and deals to get it even cheaper. 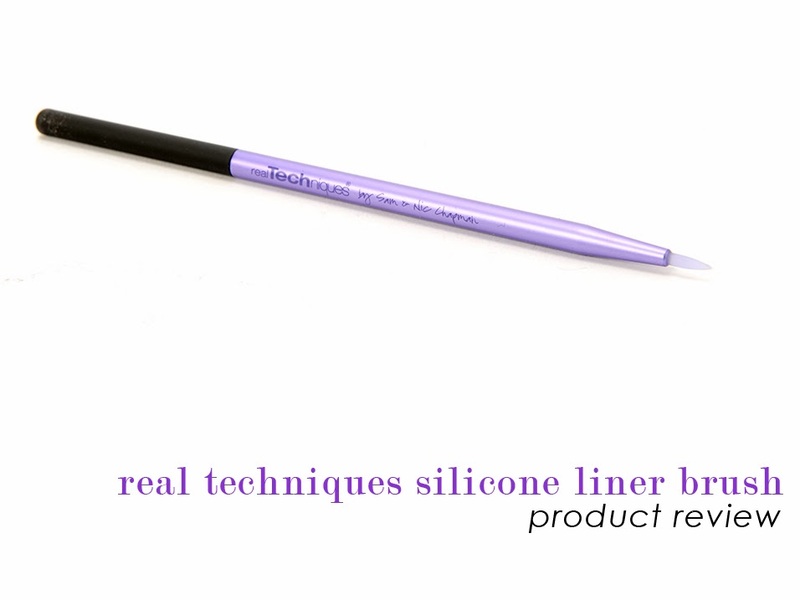 Hell, even if you wear gel liner twice a year, pick this up; you'll like it. Welp. Guess I'm gonna buy this now! I figure for $6, you really can't go wrong. Yeah looks like I'll have to buy it too !